Usually the Canadian translation studies journal TTR (which stands for Texte, Terminologie, Rédaction) is of no interest for this blog. But you never know… The latest issue is a special one on translation in Japan. Mostly it’s about sophisticated literary translation, but among the articles of that kind is sandwiched a very unusual one that does concern us. It's Tomie Watanabe’s description of the Tokyo War Crimes Tribunal of 1946-1948. The Tokyo Trials paralleled the Nuremberg Trials that had started a few months earlier in Europe. Both of them used large numbers of interpreters. However, though they were both important in the history of court interpreting, the Tokyo Trials have received only a fraction of the attention that the Nuremberg Trials have. That’s what makes Watanabe’s quite detailed analysis so valuable. The first and most famous of the trials was that of the Japanese war leaders and their major henchmen. 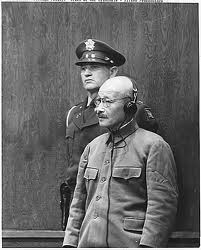 At its coclusion, 25 were found guilty and seven of them, including General Hideki Tojo, the Japanese Prime Minister (see photo of him wearing headphones at the trial), were sentenced to death and hanged. As at Nuremberg, the logistics were organised by the Americans, but all their Far East allies participated in the trial itself. The official languages… were English and Japanese. However, there were participants who spoke other languages as well, for example, the prosecutor representing France spoke only French. Therefore, not only English- but also Chinese-, French-, Russian- and Dutch-Japanese… services were added, when necessary. English-Japanese interpreters performed interpretation in both directions. Relay interpretation was conducted when other languages were added. How to find the interpreters? The Allied Powers would have preferred non-Japanese interpreters…, but they soon discovered that it was absolutely impossible due to the complete absence of this resource in those days. Shimada [one of the interpreters] said that he was surprised how poor the Japanese proficiency was among the interpreters of the Allied Powers, noting that this was proof that the Japanese language was little known or used in the world before World War II. It was then decided that interpreters should be hired from among the Japanese, and monitors from among officials of the Allied Powers would be relied upon to check and correct the interpretation. The Japanese interpreters had no experience working as professional interpreters before the trial... English proficiency was the only qualification for being hired… It was extremely difficult in those days to find qualified interpreters with sufficient command of English and Japanese, as well as with an adequate knowledge of the historical and cultural background and of the legal terminology. It is clear, then, that the minimum qualification of a good command of English became the selection criterion. Interpreters were given no prior training or preparatory classes. They received only technical information about the courtroom. Mock trials were used, but only as an aptitude test, not for training. Relay interpretation means that a speech is first interpreted from language A to language B and then re-interpreted by another interpreter from language B to language C. Thus, if no French-Japanese interpreter was available, it might be interpreted first from French to English and then from English to Japanese. Tomie Watanabe. Interpretation at the Tokyo War Crimes Tribunal: an overview and Tojo’s cross-examination. TTR, 22:1.57-91, 2010. The author is a conference interpreter. She teaches interpretation at Daito Bunka University and Aoyama Gakuin University in Tokyo. The article is based on her M.A. thesis. TTR has a website at http://www.uottawa.ca/associations/act-cats/English/Journal_TTR/Journal_TTR.htm. Kayoko Takeda. Interpreting the Tokyo War Crimes Tribunal. Ottawa: University of Ottawa Press, 2010. Available from Amazon. The other evening we went to a dinner party held for a friend’s birthday in a local restaurant. One could only speak Spanish. It was obvious and inevitable that the conversation would be conducted overwhelmingly in English; and that the ninth person, the unilingual Spanish speaker – let’s call him Jorge – would be isolated for most of the meal unless we did something about it. So I sat down next to him, expecting to interpret. I needn’t have bothered. Seated opposite Jorge was a bilingual Spanish lady. She interpreted for him everything that was said in English, sometimes in full and sometimes in summary. She said it out loud, she didn’t whisper it; but there’s always so much noise in Spanish restaurants – and especially Valencian ones – that nobody was disturbed by her. She also translated into English things that she had first said herself to Jorge in Spanish. I noticed that sometimes she produced translations of items on the menu faster than I could think of them myself: clóchinas/small mussels and costillas adobadas/marinated spareribs for example. I ended up doing barely a few words of interpretation throughout the four hours. Now, I happen to know something about that lady’s background. She was born and brought up in Spain and left school at age 14. She had no higher education. At 16 she went to England as an au pair girl (a young foreign woman who helps out with household chores and childcare in exchange for board and lodging). There she married a unilingual Englishman and stayed in England for some 50 years. So her English became fluent, though she still has a heavy accent which leaves you in no doubt that she isn’t a native speaker. She returned to live in Spain 12 years ago. She had no training in translation, not even an English language course. * Translating in everyday circumstances. She must have had some exposure to translation, and have done quite a lot of it spontaneously as at this dinner. But still I would say that she comes close to being a Natural Translator. She’s now in her late seventies. Natural Translation has no age limit. Today is the anniversary, the 70th anniversary, of a fateful encounter in the history of modern Spain. It was on October 23, 1940 that Franco arrived by train to meet Hitler (see photo) in the station of the French border town of Hendaye a few kilometres from San Sebastian. Hitler’s intention was to pressure Franco into joining the war on the Axis side and allowing his army free passage across Spain to seize Gibraltar from the British. Despite his enormous ascendancy as conqueror of France and commander of the largest, best equipped army in Europe, he didn’t succeed. Indeed he abruptly and rather rudely left the conversations, which had gone on all afternoon and until late into the evening, frustrated and annoyed. Pro-Franco propaganda later portrayed the Spanish Caudillo (Leader) as a canny politician whose heroic, imperturbable stubbornness saved a war-weary Spain from getting involved on the losing side. This version is still hotly debated by the historians. As always, the truth is more complex. What concerns us here, though, is not the discussions themselves but the interpreters. We know who they were. Only six people were present in the railway saloon car where the discussions took place. They were: Hitler and his foreign minister Joachim von Ribbentrop; Franco, accompanied by his foreign minister (and brother-in-law of his wife) Ramón Serrano Suñer; and the two interpreters. 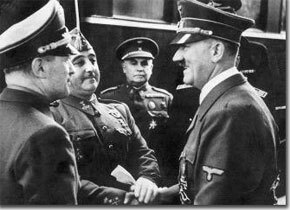 The face-to-face between the leaders would have been impossible without the interpreters: neither Hitler nor Ribbentrop knew Spanish and neither Franco nor Serrano Suñer spoke German. Ribbentrop and Serrano Suñer could speak French, but not their bosses. It’s long been customary in diplomatic interpreting for each side to bring its own interpreter, who only translates what his or her own delegation says. This was done at Hendaye and the method they used was full consecutive interpretation, in which the interpreter waits for the speaker to finish an entire speech before translating. To help remember everything, the interpreter takes notes. It’s a slow method, because in effect everything has to be said twice, and this is one reason why the meeting lasted so long. However, it offers the advantage that it gives the speakers time to think during the interpretations, which probably helped Franco to avoid being browbeaten. Franco’s interpreter was Luis Álvarez de Estrada y Luque, Barón de las Torres – a magnificent name and title, but I’ll call him De las Torres for short. He wasn’t officially an interpreter, but he was a seasoned career diplomat, Head of Protocol in the Foreign Ministry, and in that post he must have done and listened to a lot of interpreting in his time. His German was excellent and apparently he had a quick ear, for it’s to him that we owe our knowledge of the deprecating remark that he overheard Hitler mutter to Ribbentrop at a moment of frustration: Mit diesem Kerle ist nichts zu tun (There’s nothing to be done with this fellow). Hitler’s interpreter was named Gross. We know less about him because he was only a second choice, a subordinate. Hitler’s preference would no doubt have been for his famous diplomatic interpreter, Paul Schmidt, the head interpreter of the German foreign ministry. Schmidt had interpreted between Hitler and Chamberlain at Munich, and in fact he was present in the entourage at Hendaye, but he couldn’t be called upon that day because he didn’t work in Spanish. Gross is said to have been incompetent. Gross failed completely to translate this, and so Franco's parting gesture of reconciliation went for nothing. However, Serrano Suñer was actually glad of the interpreter’s gaffe, because he saw it as avoiding another commitment. Although the work was shared between two interpreters, the strain of interpreting such momentous matters between two such powerful men must have been great. Remember that they also had to interpret the conversation at the dinner which Hitler offered to Franco and his entourage on the German train. By the time the meeting broke up at five to one in the morning, they must have been exhausted. That wasn’t the end of the matter for the interpreters. Both of them drew up reports of the conversations within days. The one by De las Torres was the fuller, indeed the only full account for historians to draw on. It’s a first-hand account, whereas we only have Gross’s at second hand through Schmidt. No doubt De las Torres turned back to his interpreter’s notes to refresh his memory, as Paul Mantoux had done at the Paris Peace Conference of 1919. British Intelligence soon got wind of what had happened at Hendaye. It’s suspected that the leak may have came from De las Torres, who was an anglophile. Nevertheless, the British prepared for the worst. One measure they took was to evacuate the civilian population of Gibraltar to the UK. The children were placed in local schools, including the one that I was attending in London. The native Gibraltarians were bilingual in English and Spanish, though they mostly spoke English. It was from those children that I first heard Spanish. Paul Preston. Franco and Hitler: the myth of Hendaye 1940. Contemporary European History, 1:1.1-16, 1992. http://www.jstor.org/stable/20081423. Eduardo Palomar Baró. Entrevista entre Franco y Hitler. Generalísimo Francisco Franco. http://www.generalisimofranco.com/historia/hendaya01.htm. César Vidal. ¿Qué sucedió en la entrevista de Hendaya? (Enigmas de la Historia). Ideas, Libertad Digital supplements, August 8, 2003. http://revista.libertaddigital.com/1-que-sucedio-en-la-entrevista-de-hendaya-1275767998.html. Paul Schmidt. Hitler’s Interpreter: The Secret History of German Diplomacy 1935-1945. London: Heinemann, 1951. Available from Amazon UK. Paul Mantoux. The Deliberations of the Council of Four (March 24-June 28, 1919): Notes of the official interpreter. Translated and edited by Arthur S. Link with the assistance of Manfred F. Boemeke. Princeton NJ: Princeton University Press, 1992. Available from Amazon USA. Continued from October 17. Please read this series in the correct order, starting at October 11. My reflections on the experience. 1. I did it. Not much of it, but enough to let me feel how it feels. Actually my wife, who has no training as an interpreter, also did some of it at Cullera. 2. We’ve seen two kinds of medical interpreting in this mini-series. There’s a regulated, neutral, keep-your-distance, cut-and-dried kind in which the interpreter is assigned by an organisation, interprets for a limited time and then disengages and moves on to another assignment. That’s the kind reflected in the Australian paper. Then there’s a kind where the interpreter accompanies the patient for as long as necessary, adds information when it can be useful and does more than just translate. In G.’s case, I wasn’t only his language interpreter, I was his mediator with the bureaucracy and ‘interpreter’ (in another sense) to the doctors. 3. Interpreting for patients who are mentally ill is different from doing so for those who are physically impaired. The mental patient’s discourse may be part of the disease. It may be incoherent; or it may, as in G.’s case, mask the problem. The interpreter becomes a collaborator and an explainer. 4. The interpreter is at an advantage if he or she knows the patient’s medical history and current state of health. Interpreters are always at an advantage if they have background knowledge, whatever the mode of interpretation. This is something that laymen don’t understand; they think language proficiency is everything. But as one of my mentors, a seasoned conference interpreter, used to say, “Half the battle is knowing what they’re talking abut.” Court and legal interpreters ought to be provided with a copy of the case summary (called the factum in Canadian law) but they rarely are. Medical interpreters should likewise be briefed with a case summary. In G.’s case, I enjoyed an immense advantage by knowing what was wrong with him and I couldn’t have been so useful otherwise. 5. Lionel Dersot, in his comment on the previous post, rightly says that there’s information which the interpreter mustn't withhold. However, when supplying information, interpreters must make it clear what it is that they know personally and what's only hearsay. 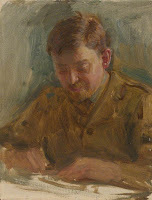 G.’s heavy drinking was something I’d witnessed myself; but when I told the doctors about the tests he’d undergone in England and the possible cause of his affliction, I was careful to say that I’d only heard about it from his wife. 6. You can't be squeamish. In my case it went no further than watching the security guards tie G. down to the bed. ("Sometimes we have to do it to old people," one of them said to me.) But there are also accident sites, battlefields, deathbeds, even operating theatres. 7. The doctrine of Protection of Personal Data is sometimes enforced ad absurdum. When I phoned the hospital at Alzira, all I wanted to know was whether G. was still there and whether he was improving. 6. Although Professional Expert Medical Interpreting will spread, aided by video-conferencing, there will always be places and circumstances where medical interpreting has to be done by Native and even Natural Interpreters. Continued from October 16. Please read this series in the correct order, starting at October 11. 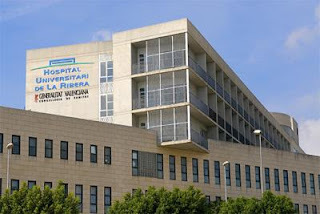 The ambulance took us to the Hospital de la Ribera at Alzira (see photo). * G. hadn’t been drinking. He’d been lying on the bedroom floor for 36 hours. * Physically G. was strong and healthy. His problem was mental. He’d lost part of his long-term memory and his short-term memory was very short. But some things he recalled obsessively. * He’d been tested in England for Alzheimer’s and the conclusion was that he didn’t have it. An alternative hypothesis was that his brain had been affected by chemicals that were used at a job he’d had and which caused severe physical symptoms at the time. (This was information that B. had given me.) But it was also true that although he wasn’t drunk now, he’d been a heavy drinker in the past. A doctor arrived who wasn’t Spanish but Indian. He spoke perfect English. He was therefore able to converse with G. directly in English for an extended time. At last somebody understood what I was getting at. He ordered an immediate brain scan. * Translate everything the doctor says. * Don’t voice your own opinion as to medical procedure. I was learning on the job. Some time after midnight the results of the scan arrived. Nothing wrong there. So they started to focus on G.’s liver, taking many blood samples while I passed on instructions and tried to explain to G. what was happening and keep him calm. Then nursing assistants came to clean G. up. He reacted by kicking one of the nurses in the chest. That set off the alarm. Security were called and they tied G. down to the bed. It was tough treatment, but it was a blessing in disguise because G. dozed off, and I tried to do likewise in an armchair next to his bed. However, each time he woke up I had to respond to him and sometimes call for help. When the nurses started their morning round at seven o’clock, it seemed to me that I couldn’t do any more. So I walked out into the crisp air – Alzira is a hill town – and took the bus back to Cullera to tell B. what was happening. That done, I caught the train back to Valencia, coughing all the way. La Ribera: Departamento 11 de Salud. In English. http://www.hospital-ribera.com/english/index.htm. Continued from October 11. Please read this series in the correct order. I’m not a Medical or Health Care Interpreter, neither Professional nor Expert nor even Native. I'd never done it. I’d heard about it, read about it and watched videos about it; but translating is a practical skill, and learning about it isn’t enough. You have to do it. Nevertheless, in mid-September, just when symptoms of my incipient flu were becoming manifest, I received an anguished call for help from an elderly English lady who lives with her husband in Cullera. 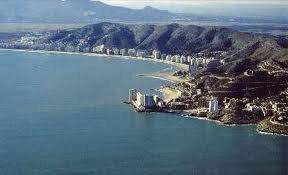 Cullera is a pleasant resort town with a fine beach about 25 km south of where I live near Valencia (see photo). I knew the couple because they previously lived in the same village as me. Let’s call the lady B. and her husband G.
B., like all too many English residents in Spain, though she’s lived here for several years, hasn’t learnt to speak or read a word of Spanish. The Spanish National Health Service has trouble dealing with them. On the other hand, G. does speak some Spanish. He was born in England, but his father was Spanish, a refugee from the Civil War, and when he was a child his father used to send him to spend a few weeks each summer with the family in Spain. So he was an early bilingual and could at times give the impression that he spoke Spanish well. But in reality his Spanish was very limited and uneducated. Ever since I’d known him, G. had been losing his mind. His English was correct, but his discourse was rambling, highly repetitive and full of fantasies. He continually rehashed memories of Africa and talked about his three houses when he didn't even own one. Now he was getting worse. At moments he was violent. He had knocked B down. and she had broken her hip. She had been operated on successfully at the nearest regional hospital, but they had sent her home with a report and a list of prescriptions that neither of them could read. She couldn’t walk more than a few steps, so she couldn’t go to the doctor’s. My wife and I drove down to Cullera. Our priority was to get proper medical attention for B. The Spanish National Health Service is well organised and free, but sometimes it's slow and it has its bureaucratic side. To be assigned a doctor, you must be registered at the town hall as a resident of the place where you live (the procedure called empadronamiento). B. and G. were not. We spent the day getting that sorted out, and from the second day onwards B. was well taken care of, and the local Health Centre put her into a rehab programme where the physiotherapist speaks enough English. The problem of G. was not so easily dealt with. By that time, G. was sprawled on the bedroom floor and refused to budge from there. I called for an ambulance. When the two ambulance men arrived, their first question to me was the first one that every medical assistant asked me from then on: “Has he been drinking?” I assured them that he hadn’t been and that his trouble was mental. At that point G. sat up and talked to the ambulance men in Spanish. They asked him, “How do you feel? Have you got any pain? Do you want us to take you to the Medical Centre?” He replied that he felt fine, had no pains and didn’t want anything to do with the Medical Centre. The ambulance men said they sympathised with me, but G. was conscious and coherent, and in view of his answers they had no right to force him to go. So they left him there. I now concentrated on getting G. the temporary SIP, and by the end of the day, even without the information from England, he had it. The following morning, G. was still on the bedroom floor. Armed with his SIP, I went to the emergency section of the Medical Centre. There I happened upon a very helpful doctor who ordered the ambulance to be sent again and G. to be brought in. This was accomplished. I explained what was wrong with G., but it was really the fact that G. had trouble lifting one arm that convinced him to send G. to hospital for tests and observation. The regional hospital is about 15 km from Cullera, so that meant another ambulance journey. At that point I had to decide what to do myself. I realised that nobody would understand what was really wrong with G. unless they spoke English well enough to diagnose him from his discourse. There is in fact a voluntary interpreter service for medical care along that coast, the Costa Blanca, run by British residents themselves. But it’s based at Denia, a fair distance further south, and there’d be a long delay obtaining somebody from it. In spite of my worsening flu, I went with G. in the ambulance. Before I was laid low by the flu, I read a very interesting article about Medical Interpreting – the Professional Expert kind. It’s a paper from The Critical Link 5 conference (see References). The Critical Link is the premier international conference series on Community Interpreting (or as the British call it, Public Service Interpreting). Critical Link 5 was held in 2007 in Sydney. It was an appropriate venue because Australia was a pioneer in the provision of high-quality Community Interpreting. 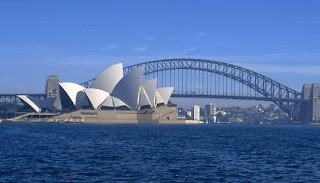 Indeed, when we organised the first Critical Link conference, which took place in Canada in 1995, I was amazed to learn that Australia was way ahead of my own country both in the provision of services and in the setting of standards. 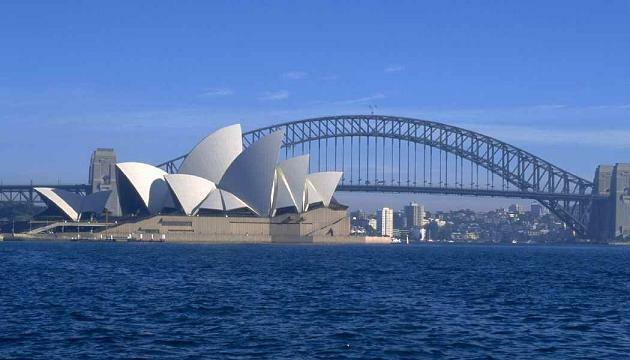 Australia is one of the most culturally and linguistically diverse countries in the world. In the 2006 census it was possible to code up to 282 countries of birth, 364 languages and 115 religious groups. The change began immediately after WW2, in the late 1940s, with the arrival of large numbers of non-English speaking refugees and other immigrants from Europe. Later waves of newcomers have come from Latin America, Asia, the Middle East and more recently Africa. By 1973, in the face of this ‘new look’, the Australian government adopted a ‘multiculturalism’ policy and there was the political will to implement it by substantial increases in government expenditure on immigrant welfare and assistance. The first part of the article relates the history of these services in the state of New South Wales (NSW) from 1972 onwards, and makes it very clear with a timeline graphic. In 1973, the government Telephone Interpreting Service was organised – a world first and a decade ahead of North America – to cope with the problem of delivering interpretation in such a vast country. In 1977, the Health Care Interpreter Service (HCIS) of NSW was set up, initially providing a workforce of twenty-seven interpreters to serve seventeen Sydney hospitals. Today, the HCIS has a workforce of over 1,000 full and part-time interpreters… generally free of charge, in more than seventy languages (including Auslan or Australian Sign Language)… In rural and remote regions, HCIS interpreters are able to facilitate consultations using videoconferencing. In the same year, 1977, the National Authority for the Accreditation of Translators and Interpreters (NAATI) was established to act as a uniform standards-setter. Guidelines were drawn up, then reissued and revised over the years. The rest of the article is mainly taken up with case studies in the form of accounts of their experiences by some of the interpreters. They dwell more on the problems of cultural differences than of language differences that the interpreters encounter. Here’s an example. Vietnamese families try to protect old patients with terminal illnesses by not telling them the diagnosis or that their time is nearly up. Yet in spite of the wealth of experiences in these real-life case studies, nothing in them prepared me for my own initiation willy-nilly into medical interpreting. This was because all the accounts treated of patients with physical injuries and illnesses, whereas I found myself up against the perplexities of mental illness, where language – or rather the discourse in the language – itself constitutes a major symptom of the disease. Ilse Blignault (U. of New South Wales), Maria Stephanou and Cassandra Barnett (NSW Transcultural Aged Care Service). Achieving quality in health care interpreting: Insights from interpreters. In The Critical Link 5, ch. 14, pp. 221-234, 2009. The Critical Link 5: Quality in interpreting – a shared responsibility. Edited by Sandra Hale (U. of Western Sydney), Uldis Ozolins (Royal Melbourne Institute of Technology U.) and Ludmilla Stern (U of New South Wales). Amsterdam: Benjamins, 2009. 255 p.
New South Wales Department of Health. Standard Procedures for Working with Health Care Interpreters. (Doc. No. PD2006_053). Sydney: NSW Health, 2006. http://www.health,nsw.gov.au/policies/pd/2006/PD2006_053.html. The posters warn that flu is dangerous for old people. I no longer take that lightly. Unfortunately the inoculation campaign that the posters advertise didn’t begin until 1st October, and my flu began on or about 19th September. I’m not out of the woods yet; but thanks to in-the-nick-of-time medication, I didn’t collapse into pneumonia and I can write again. My longtime Followers know that I like to celebrate anniversaries, even if it takes us off topic. Today it’s once again Nou d’octubre (Ninth of October), the National Day of the Valencians. I wrote about it last year (post of October 9, 2009) and about the classic of Valencian mediaeval literature called Tirant lo Blanch (Tirant, the White Knight), but here’s some more. Today is the day when, in 1238, King James I of Aragon (Jaume Primer in Valencian – there‘s a university that bears that name) entered the city of Valencia after receiving the capitulation of its Muslim regime, which had occupied it for most of the previous 400 years. Soon afterwards, the Cathedral started to rise on the site of the Mezquita. 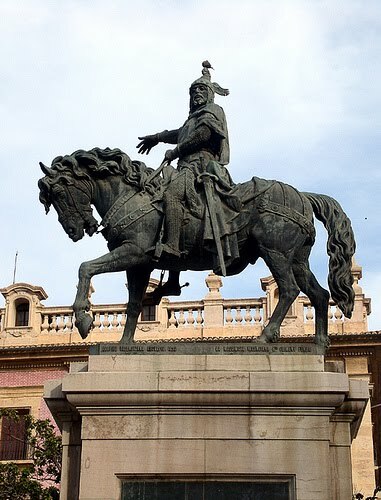 At noon today the Valencian national flag, the Senyera, will be paraded through the downtown streets to the magnificent equestrian statue of James I as Conqueror that dominates Alfons the Magnanimous Square (seen photo). Old national passions die hard. James was not only a great warrior, he was also a great administrator. He parcelled out the lands he conquered judiciously to his followers and supporters, including of course the Church. The College of Notaries of Valencia is the oldest in Spain. Last spring, I visited one of the rare public displays of the Llibre del Repartiment (Book of Property Distribution), which is to Valencia what the Domesday Book is to England. It was lent by the still-intact Archives of the Kingdom of Aragon in Barcelona. In a hasty hand, its three small-format volumes, compiled between 1237 and 1252, list all the property holdings granted by James in what became the Kingdom of Valencia. It’s written on paper manufactured at one or other of the several paper factories that James expropriated from the Muslims. Although James entered Valencia on this day, he’d actually received the capitulation of the city on September 28. Why did he hold back? Well for one thing he may have been waiting for his rearguard to catch up. When he did finally move, he left the rearguard six kilometres outside, near the place where I now live. There’s a mediaeval cross to mark the spot – but only approximately because the coastline has receded and the cross has had to be moved. Another reason may have been the need to finalise documents and translate them. The Muslims spoke and wrote in Arabic, the Christians in some variant of Catalan. It’s hard to pin down the latter, and it’s not certain what dialect James himself spoke because he was brought up in several different regions. What’s clear is that in this situation, translators were needed. Who were they? Astonishingly, considering how long ago it was, we do know the names and even a little background of some of James’s staff translators, his ‘secretary-interpreters’. (Bear in mind that the sharp distinction between translators and interpreters is modern, and that until the last century ‘interpreters’ were just as likely to translate written texts as spoken ones.) They were Drs. R. David, R. Solomon, and R. Moses Bachiel; David Almadayan, secretary to the infante Don Fernando; Drs. R. Joseph, R. Samson and Abraham ibn Vives. The last was probably the father of the wealthy Joseph ibn Vives who in 1271 held a lease of the salt-works of Valencia, and who was likely the ancestor of the prominent Valencian Renaissance humanist Luis Vives, of whom there is a statue in the courtyard of the University of Valencia. As you can guess from the names, they were all Jewish. The Jews formed a neutral group between Christians and Muslims. There were flourishing Jewish communities in all the major Iberian towns and in many of the not so major. When I met the Israeli translation theorist Itamar Even-Zohar last year, he was going around the old nucleus of Tarragona looking for remnants of the Jewish quarter there. The Jews spoke the languages of their milieux (Arabic in the Muslim areas) and wrote Hebrew in Arabic characters. As so often, they were cultivated and connected, and they were extremely useful to their rulers of whatever language or religion. As a reward for the important services which they had rendered him in the conquest of the strongly fortified city, he presented to some of them houses belonging to the Moors, as well as real estate in the city and its precincts... In 1239 King James assigned the Jews a commodious quarter for residence. From 1283 onwards, well after James’s reign, this idyllic cohabitation turned sour. But that’s another story. Llibre del Repartiment de Valencia. In Spanish. Wikipedia Español. http://es.wikipedia.org/wiki/Llibre_del_Repartiment_de_Valencia. Alfons Garcia. Por muchos estudios, nunca conoceremos la lengua de Jaume I. (However many studies are done, we will never know what language James I spoke). In Spanish. Levante-EMV newspaper, May 8, 2009. http://www.levante-emv.com/cultura/2009/05/08/estudios-conoceremos-lengua-jaume-i/587030.html. Isidore Singer and Meyer Kayserling. Valencia. Jewish Encyclopedia.com. The promised post on Medical Interpreting will appear in the next few days.